This short article gives questions to help the knowledgeable believer and the believer who wishes to become knowledgeable determine what he believes and why; specifically whether he is a Covenant Theologian, a Dispensational Theologian (both as defined in the article above) or some variation thereof. 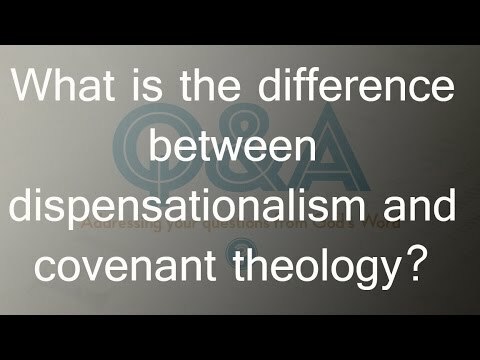 Many more questions could be added, but these few will help one determine whether he believes Covenant Theology or some aspects of that theology. One who answers all the questions “yes” is a Covenant Theologian. Should you answer some questions yes and some questions no, you have inconsistent and mutually exclusive beliefs. Some of these questions are rather difficult and you may not be able to answer them with your present knowledge and understanding of the Bible and theology. If so, just skip those questions and answer the ones you do understand. Do you believe that the rules for church and state and for the Jewish religion-state are the same? Do you make important dispensational distinctions even though you view them as related to the unifying and underlying Covenant of Grace? Do you see the present struggle between good and evil terminated by the beginning of eternity at which point there will come catastrophe and divine judgment? Do you believe that the unifying principle for the philosophy of history is the Covenant of Grace? Do you believe that the redemption of the elect plus many other programs are all parts of God’s purpose for history? Are you convinced that Israel and the church are essentially the same? Do you believe in a nonliteral interpretation of Scripture, especially when interpreting prophecy? Do you believe that the church/state union (a one world church/state) will be achieved and will succeed in bringing peace to the earth before the return of Christ? Do you believe that the ultimate purpose of history is the glory of God through the redemption of the elect? Do you believe that person who is a child of the regenerate is a member of the Covenant of Grace even if he does not enter into the communion of life aspect through a confession of faith? Have you divided postfall history into two dispensations, the Mosaic dispensation sometimes called the “Old Covenant,” and the Christian dispensation, usually called the “New Covenant”? Do you believe that the Covenant of Grace, although administration of that covenant differed between the dispensations, exists throughout these dispensations? Do you believe that each of the biblical covenants is a continuation and newer phase of the Covenant of Grace? If your answer to 16 was “yes” then is the Covenant of Works still in effect? Do you believe that God’s commands are “too severe even for Adam in innocency, and that grace[, through the covenant of circumcision and its successor, baptism,] gives an exemption from that severity,” under the Covenant of Grace? Do you believe that the local church should be made up of both those who are under the Covenant of Works as well as those who are under the Covenant of Grace? Do you believe that all in society should be forced to be members of a church which is united with and supported by the state? Do you believe in infant baptism? Do you believe in union of church and state? Do you believe in enforcing all the Ten Commandments? Do you believe in executing those who do not agree with your theology, at least outwardly? Do you believe in forcing all to attend the established church? These matters are most important because the road to religious freedom without persecution in America was a story of the conflict between opposing Bible beliefs and practices – between the persecutors (Covenant Theologians such as the Anglicans and the Puritans or Congregationalists) and the persecuted. Because the same theologies are at war today, a believer actively engaged in spiritual warfare should make sure he is fighting according to knowledge, understanding, and wisdom on all fronts and especially on the front of accurate Bible teaching. Knowing the answer to this question is vital to spiritual warfare. The history without the theologies involved is incomplete and inadequate. 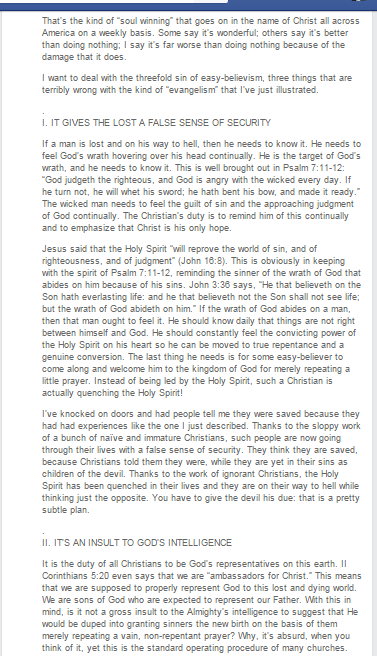 The battle between false theology and truth is still raging. To side with the false in even some areas dishonors our Lord and leads to bad consequences. It is better to fight for right no matter what, but so doing without knowing and teaching the reasons for the fight and the Bible precepts behind the war, and exposing lies and false theologies does not fully glorify God. Failure of God’s soldiers to proclaim all truth contributes to the cause of those who are pushing spiritual lies. All believers should seek to be in God’s perfect will even though one knows that he will never perfectly achieve such a thing. As is obvious from a reading of Dispensational Theology versus Covenant Theology as well as God Betrayed/Separation of Church and State: The Biblical Principles and the American Application, those Baptists who led the charge for religious freedom were well studied in their beliefs, exposed the doctrines and practices of their Covenant Theology adversaries, and very articulately published their positions. Let us look to our examples, those historic Baptists who stood for truth and followed the teachings of the Bible no matter the cost. 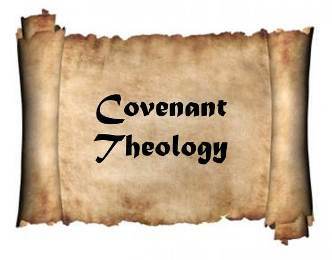 Covenant, as opposed to dispensational, theologians believe there are only 2 or 3 covenants in the Bible. As my pastor teaches, the authority for all things of God is the Word of God. The Word of God is my authority for this article which challenges one to closely consider whether he is a dispensationalist and challenges the reader to consider whether certain other fundamental Bible truths or principles such as “salvation” fit within a dispensational scheme. Should you disagree with me, please do not get angry. Show me where my analysis is wrong. Keep in mind that this is only a primer and not a thesis. This short article presents some basic Bible questions; many more could be added, but these few are adequate for one to determine whether he is a dispensationalist. Your answers will let you know whether you are a dispensationalist. Would you agree that God has run the earth with different economies, economy meaning, “the arrangement or mode of operation of something.” Before you answer this question, you may want to answer the following questions. Do you agree that the only direction and control (government) over man in the Garden of Eden was individual direction and control under God, was man’s only direction and control? Do you believe that, before the fall of man in the Garden of Eden, as ordained by God, man lived in a paradise on earth and would never die? Do you believe that, before the fall of man in the Garden of Eden, God gave man only one rule and set the consequence for breaking that rule? Do you believe that man broke that rule? Do you believe that man failed when his only control was individual government under God? Do you believe that God judged man, woman, and Satan when Satan tempted Eve and man broke that rule? Do you believe that, before the fall of man in the Garden of Eden, man had no knowledge of good and evil (conscience)? Do you believe that after the fall of man in the Garden of Eden, God took man out of the paradise on earth, the garden of Eden, and gave man, woman, and Satan new rules? In other words, do you believe that at the fall, God established a new economy for man? Do you believe that after the fall of man in the Garden of Eden, man had knowledge of good and evil (conscience) and that man would now die? Do you believe that God changed the the economy of mankind at the fall? Do you believe that, at the fall, God instituted family government? Do you believe that after the fall, man retained individual government but now with an additional check on his actions, his knowledge of good and evil (his conscience)? Do you believe that after the fall and until the flood, man’s conscience was to be the only control over his actions as he proceeded with both individual and family government? Do you believe that, after the fall and before the flood, God told mankind not to exert direction and control over another man (not to take vengeance against another – one who had murdered someone)? Do you believe that, at the flood, God changed the the economy for man? Do you believe that, at the flood, God instructed man to take direction and control over others by killing one who murders another whereas God had before instructed man not to take vengeance? Do you agree that one can call this new economy “civil government (man ruling over man in order to provide a direct control over certain evils?)? Do you believe that God divided the isles of the Gentiles in their lands; every one after his tongue, after their families, in their nations? Do you believe that after the flood and that after God instituted civil government man rebelled against God at the Tower of Babel? Do you believe that God judged this rebellion at the Tower of Babel? Do you believe that God called out Abraham to establish a people (a nation unto Himself)? Do you agree that all other nations continued under the original economy for civil government established by God at the flood? Do you believe that Abraham obeyed God, and that, as a result, a nation distinct from all others came into being? Do you believe that the Ten Commandments given by God to the Israelites changed the way God dealt with the Israelites as a nation (not as to individual salvation)? Do you believe that God combined religion and state in establishing the theocracy of Israel? Note. Of course, all heathen nations in general have always combined religion and state, but not according to the directive of God. Do you believe that Israel was to proceed as a theocracy under God whereas the Gentile nations were to continue to proceed under God’s plan established at the flood? Do you believe that God ordained something new, a new economy and a new type of government (direction and control), the church, as recorded in the New Testament? Do you believe that God gave directions to the New Testament church which are different from those directions he gave to the nation Israel and the Jewish religion? Do you believe that the New Testament teaches that churches are to be entirely separate from the civil government? Note. God desires all nations to choose to operate under Him, but does not force them to do so. One nation under God is not the same thing as union of church and state. The church is not God, and God, not the religion was over the Old Testament “church” and the nation Israel. See God Betrayed, especially Section IV; or, for a shorter explanation see Is Separation of Church and State Found in the Constitution? Do you believe that Christ will establish the millennial kingdom? Do you believe in a literal interpretation of Scripture? 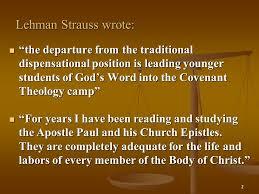 One depending upon God’s directives revealed by the Apostle Paul will, of course, study and teach the relevant doctrines of both the Old and New Testaments. 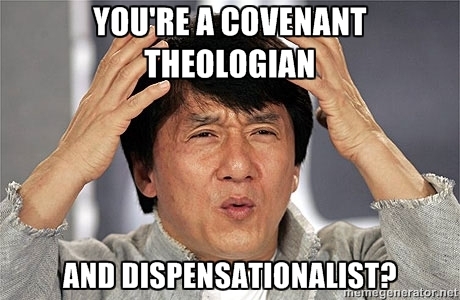 One who answers any one of the above questions “yes” and still denies that he is a dispensationalist does not understand dispensationalism, or may have, in his understanding of Scripture, combined elements of two or more opposing and mutually exclusive understandings of the Bible such as covenant theology and dispensational theology, or he may be a spiritual baby still living on the milk of the Word. There are perversions of dispensationalism such as “hyperdispensationalism” which should be exposed, not by demeaning the correct teaching of dispensationalism, but rather by exposing the errors. A correct understanding of dispensationalism is nothing more than a correct understanding of the Bible. Of course, one must also understand that God also includes, within the pages of Scripture, facts and principles that run from Genesis to Revelation, and that are separate from economies or dispensations. One must also consider God’s various covenants as he considers the dispensations. See God’s Covenants (a Bible study). When one fails to do this, he will probably misunderstand other matters, such as the matter of how men are saved at various times or the matter of the time which the church was established. This happens because he does not distinguish between facts, principles, dispensations, covenants, etc. Everyone in every dispensation is a sinner except Jesus Christ; thus there is none good, no not one, except Jesus Christ. Psalms 14.1, 3; Romans 3:10; Matthew 19:17; Mark 10:18. No man in any dispensation, except Christ, is righteous. Psalms 14:1; Romans 3:10. No man in any dispensation can do enough good works to earn salvation; man’s righteousness is as filthy rags. Isaiah 64:6. Salvation in every dispensation requires a sinless sacrifice. Christ, the God-man, is the only sinless man to ever live. God the Son, Jesus Christ, provided the sinless sacrifice required by God the Father. Salvation in every dispensation is by grace through faith. Paul speaks of that which justifies man before God, namely faith alone wholly apart from works (see, e.g., Romans 4). James, on the other hand, speaks of the proof before man; that he who professes to have justifying faith really has it. Paul speaks of what God sees – faith; James of what man sees – works as visible evidence of faith. Paul’s illustration in Romans 4 concerning Abraham is from Genesis 15.6 (“And he believed in the LORD; and he counted it to him for righteousness.”). James’ is from Genesis 22.1-19. 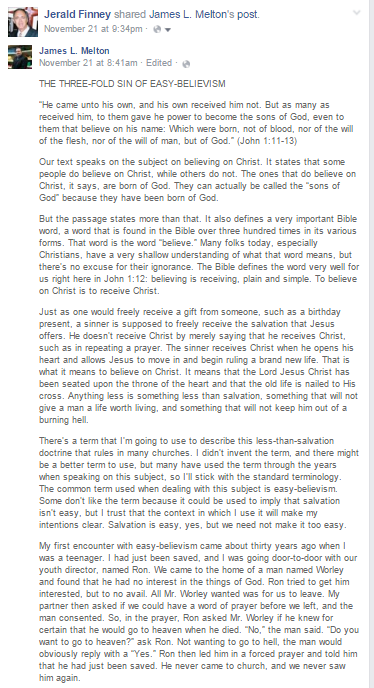 James uses the phrase “ye see” (James 2.24) for man cannot see faith except as manifested through works. And what is and always has been, since the fall, the object of that faith? The Lord Jesus Christ. Only through faith in Him can one be saved. I cannot see Him, but I know, by faith, who He is and that He died, was buried and that he is risen. I, like all (including all who lived before resurrection of Christ) except those who witnessed His resurrection, can only, through faith, trust Him. Just as I know that He will return for His children at rapture only by faith in the Word of God, I can only know of His death, burial, and resurrection by faith in His Word, both Old and New Testaments. Adam and Even, Cain and Abel, Job (Job 13:15-17, 18-28; 19.25-27) Abraham, God’s Old Testament prophets, and their believing contemporaries knew of the coming Messiah. 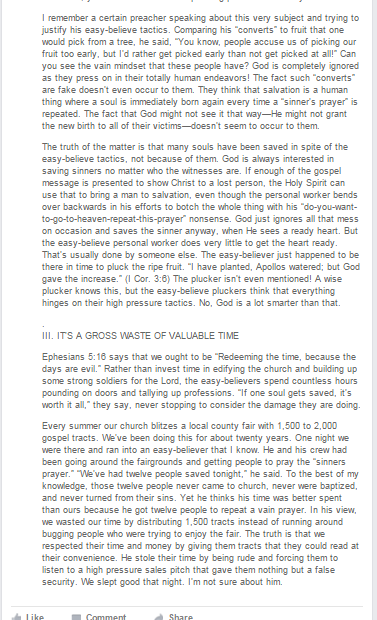 “And Abraham said, My son, God will provide himself a lamb for a burnt offering: so they went both of them together” (Genesis 22:8)[Bold emphasis mine](See also, CHRIST PROPHESIED IN THE OLD TESTAMENT: BEGINNING WITH GENESIS 3.15). The Old Testament, without reference to the New, reveals Him, His death, burial, and resurrection, sometimes in more detail than the New Testament (See, e.g., Isaiah 53 and the Messianic Psalms). The woman at the well, not a Jew, knew of the Messiah (John 4.22). How? Because of the Old Testament. Salvation is something separated from any dispensation and must be considered outside an examination of God’s economies or dispensations. Note. A list of all officials to whom this letter was mailed CMRRR is at the bottom. The men of OPBC want to thank you for any part you may have had in enforcing the law correctly. 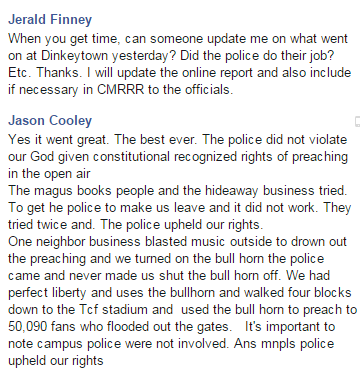 Again, it is their desire to have a positive relationship with all Minneapolis officials as well as with the citizens of Minneapolis. Those who oppose what they say share the same rights and protections afforded by American law. Thanks again and feel free to contact me for any reason. PS: Attached is a copy of the e-mail letter sent you on 10/30/15.